Please note that for measuring occupational noise to national regulations, you should usually use a Type 2 Integrating Sound Level Meter rather than a simple non-integrating meter such as the NM102. For more advice please visit our Noise at Work information page. Checking levels in offices, hospital wards and other "low noise" environments. 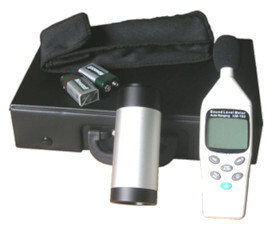 If you are measuring noise in line with the US OSHA or European Noise at Work regulations (i.e. for hearing protection reasons) then you need to make your assessment using at least a Class 2 Integrating Sound Level Meter.